If you’re patio is looking a little tired and dirty, or even full of black spots, Blast Away are highly experienced in all aspects of patio cleaning. 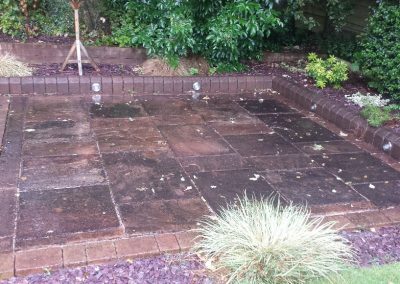 With summertime round the corner it’s tempting to purchase your own Karcher pressure washer and try patio cleaning yourself. 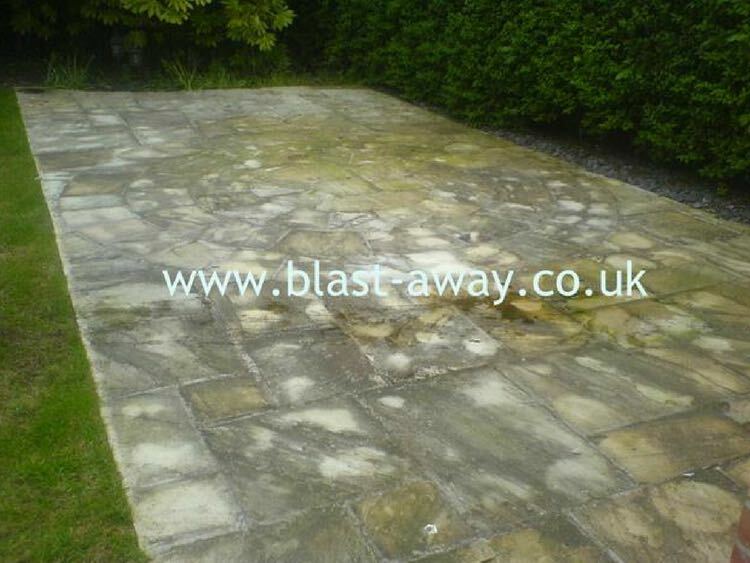 The machines you can buy for domestic use are very weak and it can all day, even weekend to fully clean your patio. Our patio cleaning equipment is diesel powered from our own generator to provide an industrial patio cleaning service in next to no time. 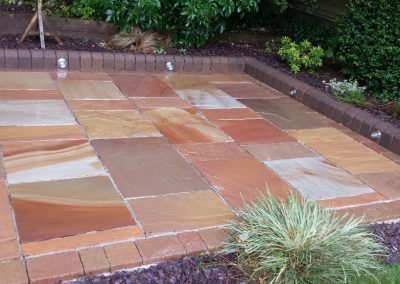 Every patio surface is different which is why we use a range of nozzle jet sizes and flat surface cleaner attachments to the control of water flow to suit the most delicate paving and stubborn stains. 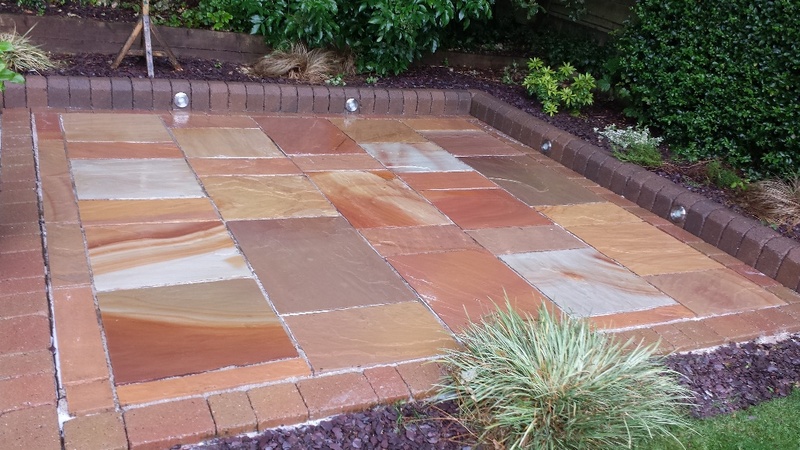 Additionally using the correct chemical’s to tackle stains rather than using pressure alone. 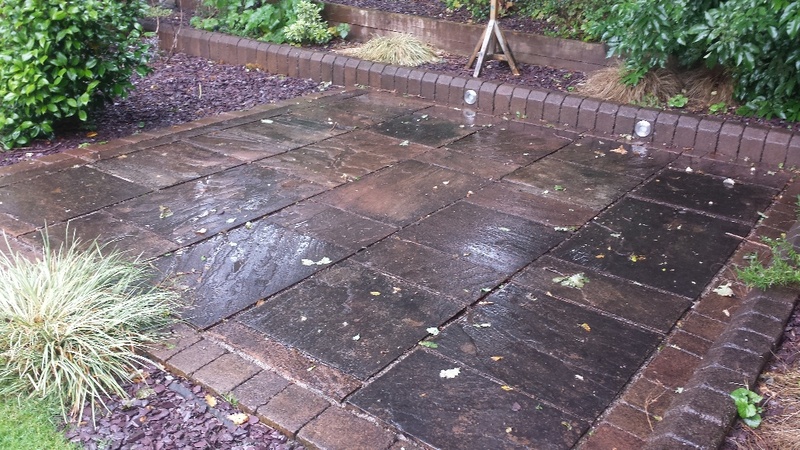 We’re expert in patio cleaning and are able to remove black spots which have failed to be removed previously. 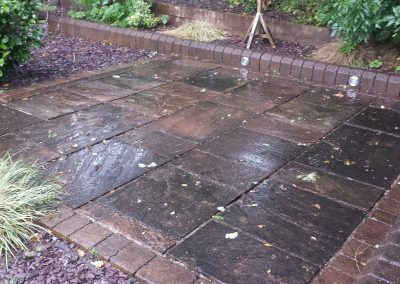 These black spots on your patio, usually appear on Indian Sandstone are known as lichen. 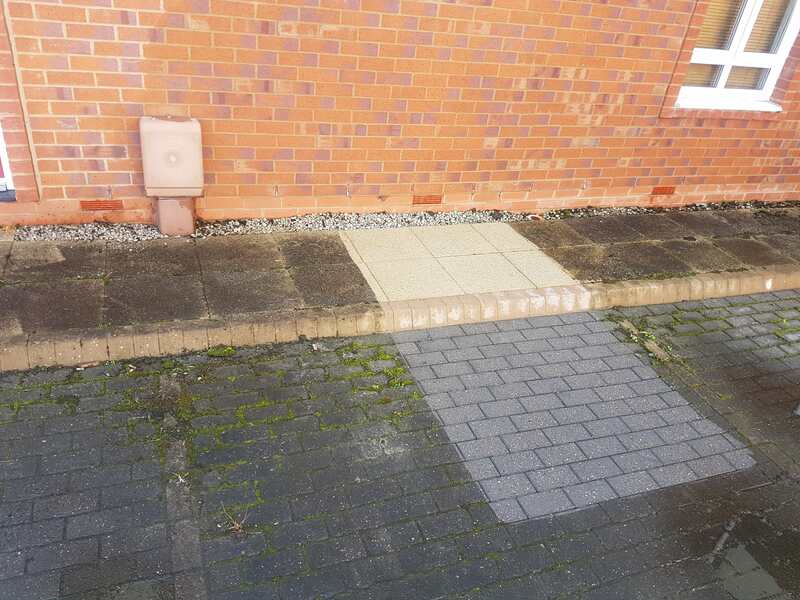 Unlike other patio cleaning companies that just use pressure washing machines, we have the right tools and chemicals to restore your patio back to it’s original condition. It could take you all day or even weekend, time consuming and back aches galore! A domestic Karcher is like a water pistol compared to our kit. Our equipment is diesel powered so we don’t require the use of your mains electric. We can clean your patio 1/10 of the time it would take you! Remember, industrial equipment doesn’t mean damage. 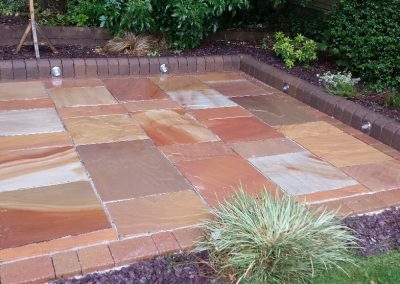 Correct methods are taken specifically to each type of paving, using a range of nozzle jet sizes and flat surface cleaner attachments to the control of water flow to suit the most delicate paving and stubborn stains. 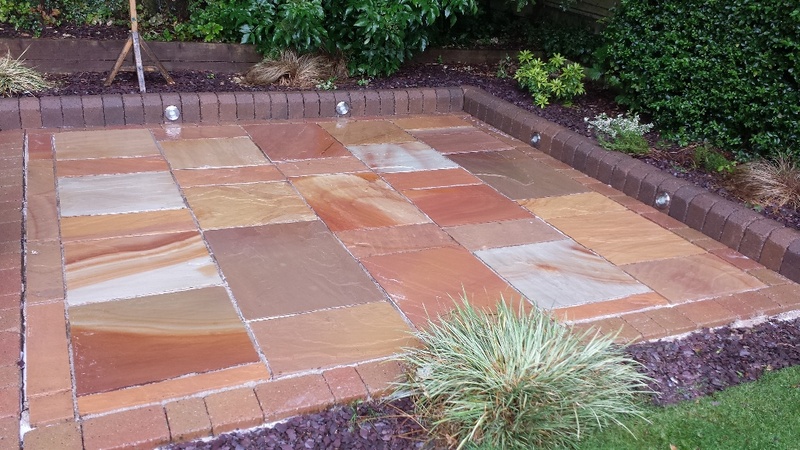 Additionally using the correct chemical’s to tackle stains rather than using pressure alone. Our patio cleaning service uses the latest equipment in industrial pressure washing and cleaning to restore your patio and remove all dirt, algae and black spots. 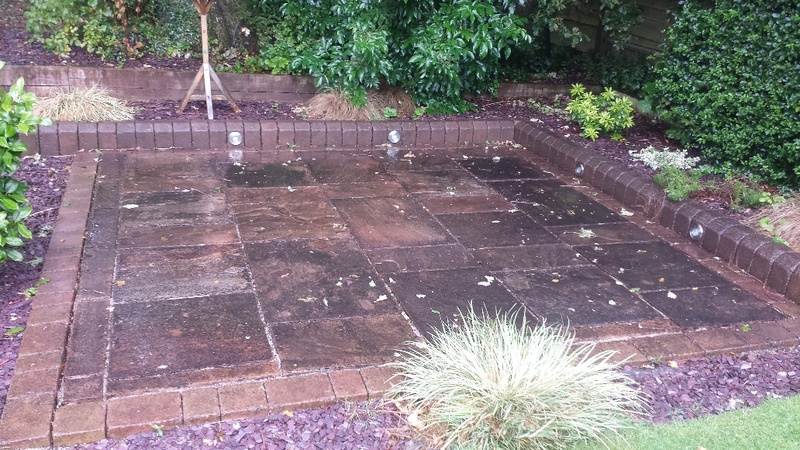 Take a look at some of our recent work and how our industrial pressure washing can clean your patio. Our company keep up to date with training and development to provide you with peace of mind. 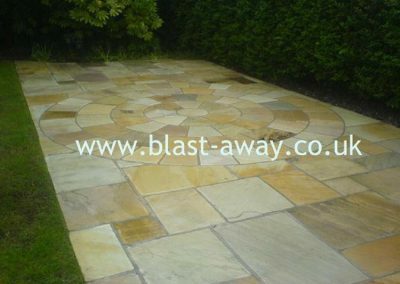 Blast Away Industrial Cleaning Ltd provide a professional and reliable commercial and industrial pressure washing service throughout the UK.